I have to profusely thank Purnima for two reasons. One is of course for deeming my writing worthy of encouragement. The second is for kicking my blog (and me) awake from deep slumber and putting me back on the writing mode. Thanks Purnima! A pat on the back like this goes a long way in nurturing my writing. Ten random facts about myself. I have done this before, but will try and write new ones this time. I enjoy the hour long journey to my workplace. It gives me the time to get lost in my thoughts while I gaze at the familiar sights that pass by. I am usually wary of trying out new stuff and always want to go with what worked for me earlier. I enjoy even mundane stuff like grocery shopping if my husband is with me. I never think twice about shelling out more money, if it is for the sake of comfortable travel. I’ve been working for about 4 years now but my salary getting credited to my account after a month’s fruitful work still hasn’t lost its fancy. Reading, writing and music are the three passions that I have in life. My everyday prayers are for good health and peace. I just love those rare days that are not ruled over by to-do lists and schedules or restricted by the presence of people to be mindful of. I have this weird quality of committing mistakes even while am completely aware of it. Just once a while, but weird still..
1. It takes a lot of commitment to keep blogging. What keeps you going? -->I have lately been very irregular for I hardly find the time to write. But it is just my love for writing and the therapeutic exercise that it proves to be that keeps me going. 2. If you had just an extra hour in a day, how would you spend it? -->Reading, writing and practicing music. 3. Have you ever cheated to get something your way? If so, how? -->As a small kid of 5 years, I used to beat up my sister whenever we fought and immediately start crying, posing to be the victim to my clueless mom who would then pull up poor sis. 4. How would it be to live in a world free of men? -->I would have given an eloquent answer had you asked me this question some time back. But right now (and I guess hereafter), I can’t imagine living without the man who fills my life! 5. If you had to punish a person who's betrayed you, how would that be? 6. What special talent can you boast of? -->I can sing carnatic music and I give stage performances. 7. Bungee jumping or scuba diving? -->Aaargh!! They both sound equally scary. 8. Which Bollywood actor/actress do you think should retire? and why? -->I am not even aware of who all occupy the screen. But I usually feel people should stop donning the garb of the young hero/hero-in when they look 35. 9. Who can make you smile despite rough situations? -->My sister’s kids and their ever refreshing antics. 10. Do you believe in celebrating Women's Day? Why? -->No. The very fact that a ‘day’ is needed, shows that we need to be reminded of how special she is. And a man is special in his own way too, isn’t he? So why aren’t we celebrating a man’s day? The toughest part. All my favorite bloggers have been taken as usual. But still, I can list some recent finds of mine who write really well. Ten is impossible though. TanayaNath – I thoroughly enjoy reading her short stories. She has a real flair for them. GayathriManikandan – We share the trait of being book lovers. I find her book reviews really good and useful. Which is that part of your daily routine which energises you to go through the day? For you, a day well spent would be ...? If you were allowed to re-live some part of your life, would you opt for it? If yes, which part of your life would you choose? Do you take conscious efforts to improve your writing or just allow it take its own course? Do you feel it is necessary to market your blog? 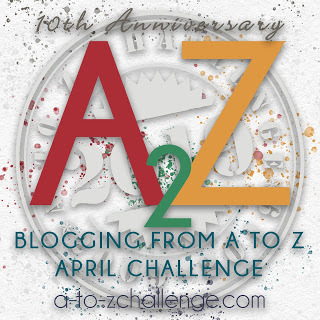 What are your thoughts on blogging contests? Do you have ambitions of writing a book someday? Why? How do you handle the proverbial writer’s block? So Tanya and Gayathri, over to you!! Congratulations to you two and keep blogging!!! I am so glad you took it up. Hope you get back to blogging more regularly? (look who's talking!) some nice pouints about you! Congrats . Salary getting credited does give a nice feeling and u sing ? That's nice . Good points and answers there . Thanks Jaish and welcome here! Glad you took it up! Checked your post too. 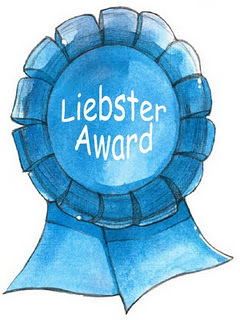 Congratulations Aarthy for the Liebster Award! You have a nice blog. I am your new follower! Hopping to your blog right away ..
You know, this is reality. Hard reality. Many of us have gone through exactly the same circumstances at work, sometimes at the hands of the young who selfishly want to progress. Poignant and well said! Its been a year already !